Because immunity is so critical to the healing process, many other articles in the website have a link that refers to this page for more information on immune health and how to help improve it. You may only need to know some of what follows but it is recommended to start with an open mind and read through all of it. Hopefully, by the end, you will have a sense of where you need to start and, if so, just go from there and take one step at a time! To survive and to flourish, human beings have developed incredibly powerful immune systems. 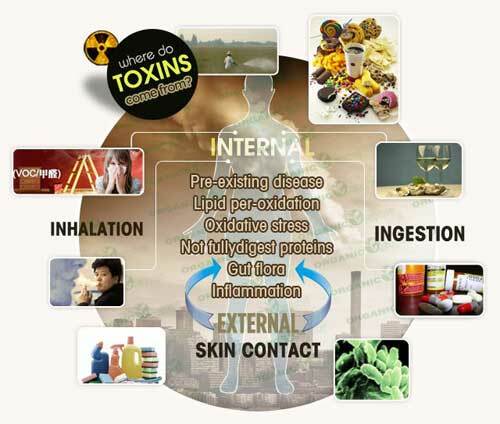 We regularly come in contact with countless different kinds of bacteria, viruses, fungi and parasites and likewise, we are constantly exposed to myriad toxic substances from our food, air and water. 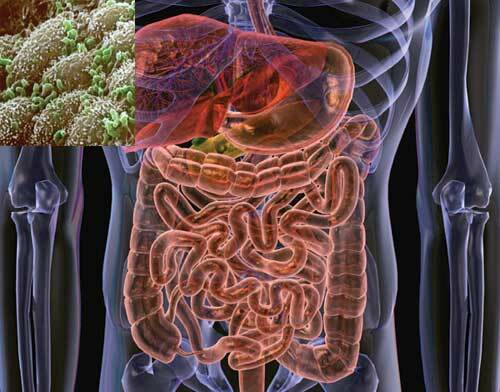 Our immune system watches over and protects every single part of us. It is aptly described as an armed 'force' within our body that requires the production of approximately 100 billion new white blood cells every day, much more if we get sick. A healthy immune system is frequently the key difference between sickness and health, even life and death. What follows is a practical discussion of those strategies that have been seen to consistently make the biggest difference to activating better immune function as quickly as possible. You may already know that a weakness or imbalance in your immunity is a core issue in your health. For example, if you have been getting recurrent infections, or if you are experiencing allergies, asthma, eczema or any kind of auto-immune condition, or if you are not recovering well from injuries. All these are certain signs that your immune system needs help or support. 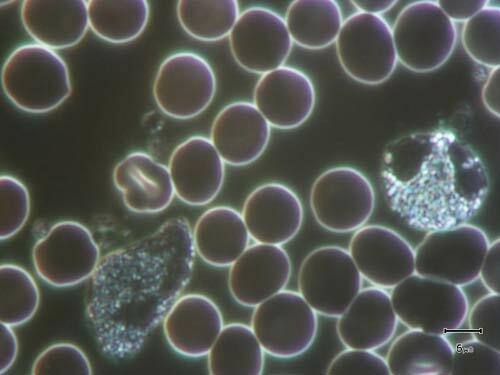 However, there are also other many health problems where the issue is just as much hinging on the health of the immune system but it is not so obvious and may have been missed by routine lab tests that measure the number of white blood cells but tell us nothing about the quality of those cells. For many people, it is precisely that quality, that level of vitality in the immune system, that is the difference between them getting better or staying unwell. I want to share now how, quite early in my practice in 1991, as I began to better comprehend just how pivotal immune health was, I began to use microscopes that were powerful enough to clearly see the white blood cells, the 'army' of the immune system. Those white blood cells stay alive for many minutes after you take a drop of blood from the finger and there will usually be many dozens of them to study. 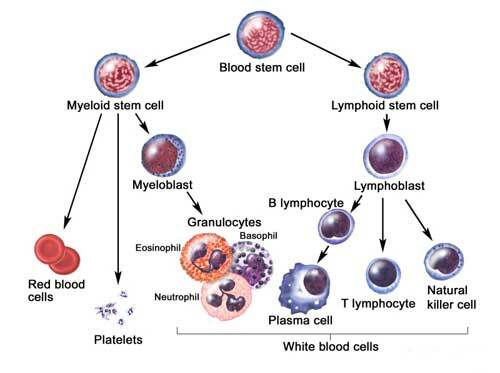 If they are in good health, certain types of white blood cells will shimmer rather beautifully from a phenomenon called 'cytoplasmic streaming'. They will also have visibly intact walls which they are able to extend in feeler-like protuberances around the plasma as they continue to search for unwanted particles or micro-organisms, even after they have left the body! 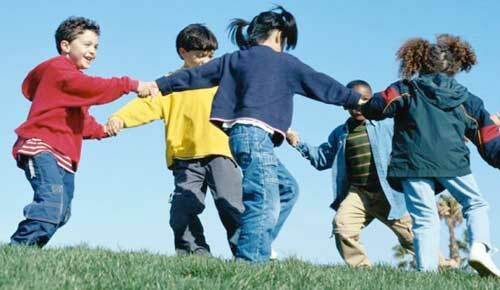 However, when a person has a weakened or stressed immune system, the picture looks entirely different. Instead of shimmering and glistening, the cells look dull, lifeless. Their walls get fragmented and break open too soon or too easily. They stop feeling around themselves, around the plasma, as if too tired to move. The reason I am mentioning all of this is because I want to convey to you that I have taken a deep personal interest in this area and that, for many years and with many thousands of people, I have made a close study of what herbs and other measures make the biggest, fastest difference to building better immune health. All I ever care about is what works and so it is this long-lasting study, and its results, that forms the basis of everything that now follows. 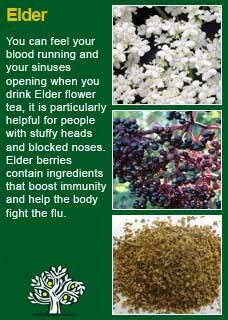 If you have a weakened or imbalanced immune system then, first and foremost, you must start getting some help from Nature. 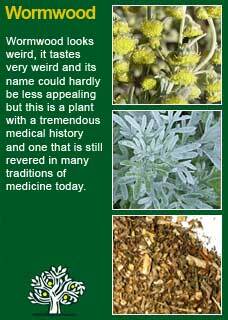 There are a handful of herbal medicines that have been revered for millennia by the old healing traditions for their ability to strengthen the body against sickness. In each example given below, modern science has done much to investigate the validity of their historical reputations and found ample evidence that they give significant benefits to immune health in diverse ways. 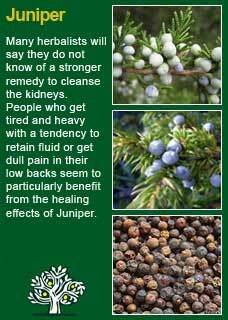 You may not need to use all of these herbs to turn things around but you should certainly use some of them. Your choices as to what to take may be influenced by what has been recommended or is available to you, but also consider learning about your constitution as referenced at the end, as well as more about the herbs themselves, to get a feel for which ones are likely to help the most. 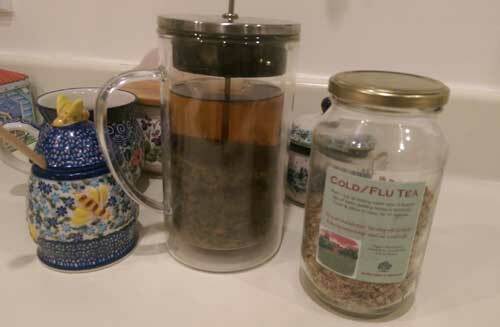 The combination of Echinacea and Astragalus frequently forms the cornerstone of my own immune health programs and I have a great deal of confidence in their ability to restore even the most depressed immunity to much better health in quick order; i.e. you typically begin to see significant benefits within mere days of use. 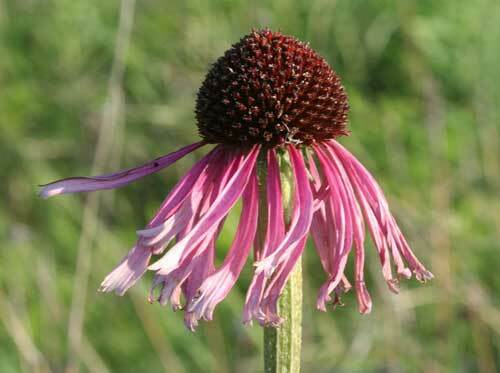 It may be very worthwhile to learn more about Echinacea root, from the Native American tradition, here and Astragalus root from traditional Chinese medicine here. 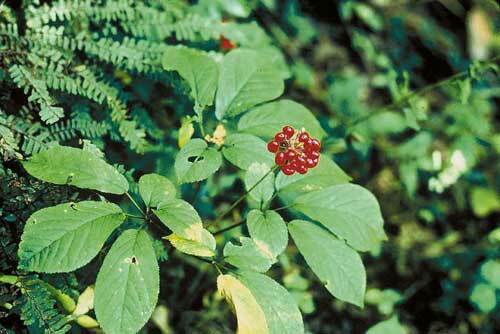 Panax Ginseng and Withania root are two of the very best general tonics in all of Nature. People who get run-down and over-tired are the ones who most often get a depressed immunity. Consequently, there can be great benefits to immune health by doing that which lifts the general levels of energy and vitality. 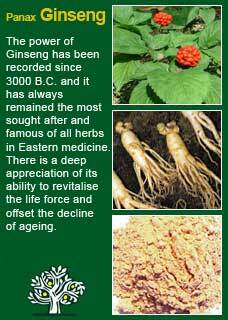 It is essential to obtain both herbs from trusted sources, Ginseng in particular is notoriously compromised by adulteration and inaccurate labelling, but so long as you are taking the right stuff in the right doses, the effects should be significant and relatively fast, most people will start responding in days. 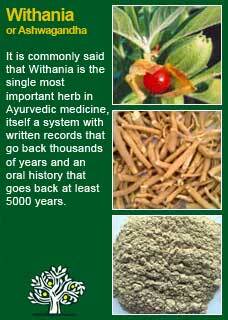 More about Panax Ginseng here, and Withania somnifera here. 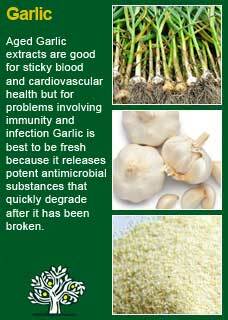 Garlic is such a revered immune medicine in all the old cultures of medicine for good reason - because it works! Garlic has numerous ways of helping us, in its article you can find practical instructions on how to use it for ear infections, thrush, parasites and fungal infections, more here. Reishi & Cordyceps are two of the great mushroom medicines that have been extensively investigated for their benefits to immune health. 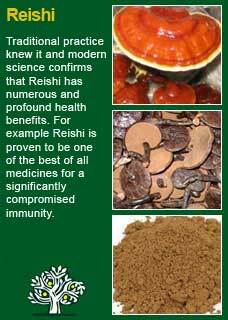 Reishi has widespread tonic actions and can be especially beneficial to a stressed, over-reactive immunity, more here, Cordyceps likewise, has broad applications, and can be of particular benefit when a strengthening tonic is needed for the lungs or adrenals, more here. St John's wort has become popularised as a natural antidepressant but, as a potent tonic for the immune system just as much as the nervous system, it has many other potential benefits, more here. Firstly, as discussed above, get some help from Nature because, whatever is going on and whatever is causing it, the healing process is going to go much better with those certain supports. The next priority is to try to remove, or at least reduce, whatever is causing harm to the immune system and what follows are the main reasons people get problems with their immunity. Many people, when telling the story of their health, have a highly significant answer to one of the most important of all questions, namely 'how did it all begin?' They talk about having had a severe infectious illness, in some cases a very long time ago, after which their health has never been right since. The earlier point, about there usually being some signs of the body trying to mount a fever early in the development of the post-viral syndrome, is a vital one to grasp in seeking a cure. One of the most effective therapeutic strategies we can bring to this problem is to work with nature and help the body do what it tried to do but failed to properly achieve; i.e. have a therapeutic fever! Fevers have become badly misunderstood and feared in the modern world, seen as undesirable side-effects of illnesses which should be squashed as quickly as possible with drugs. However, in many cases, nothing could be further from the truth! Nature, and evolution, are not stupid, we have developed the ability to mount a fever simply because it is the fastest and most powerful way to activate an immune system to fight against whatever invader it has detected. Each degree your temperature rises the activity of your immune system practically doubles! For a person who has clear signs of the post-viral syndrome, sweating therapy can be employed as a front-line approach to help get the condition improving as quickly as possible. 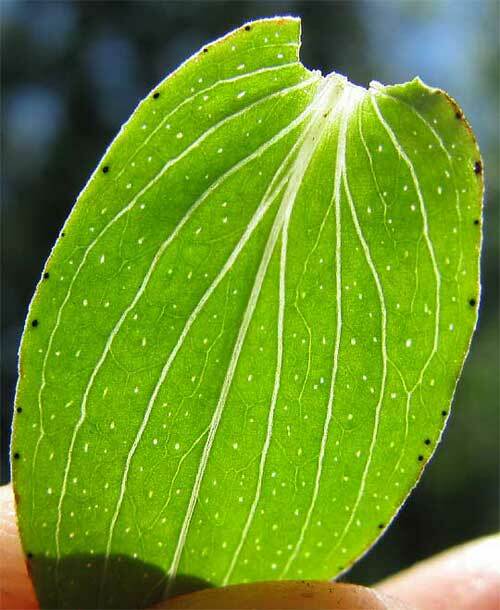 The first therapeutic 'sweat' is usually done within a few days of starting immune tonic herbs, then a 2nd 'sweat' is recommended approximately a week after the first. Some people need to do a third or more treatment but two is enough for many. The whole process is outlined in detail here. 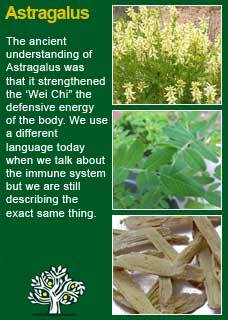 Echinacea and Astragalus were introduced earlier. 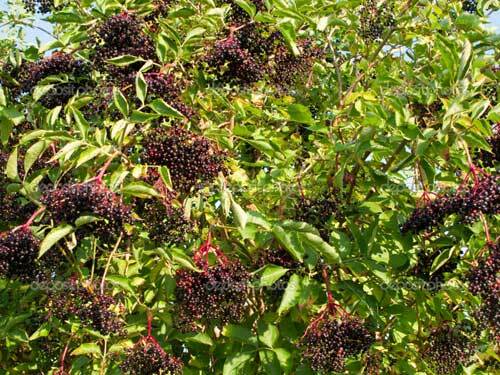 Four other herbs that can be of particular benefit when treating the post-viral syndrome are Boneset, more about it here, Elder berry, more here, Thyme, more here. 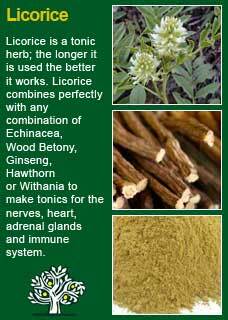 and Licorice root, here. You can see that there is wide range in the amount of each herb in this mixture. 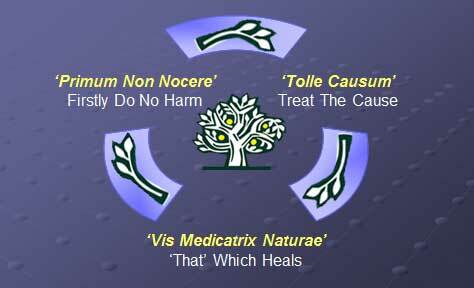 This is because dosage is a absolutely crucial to the success of herbal medicine, too little will be of little help, too much can be harmful. In our practice, with tinctures we make ourselves from raw herbal material, the dose of the above formula for an adult could range from 5mls twice a day, i.e. a three-week course, up to 7mls three times a day, a 10-day course. A child's dose might be half or less than that. In practice, it is common to use a formula like the one above, along with some sweating therapy using the 'cold and flu tea' and, at the same time, to use one or more of the dietary or detoxification or vitamin strategies as described below. In order to function properly, the extraordinary machine of the human body is utterly dependent on a number of nutrients. 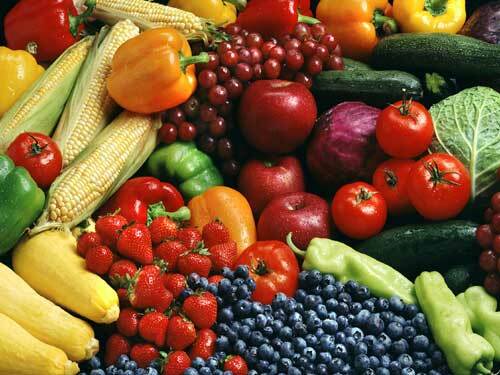 Two vitamins are especially vital to the healthy functioning of the immune system. Vitamin D, the sunshine vitamin. In recent years there has been run of scientific studies proving beyond any doubt, something we can instinctively feel, that getting sunlight on your skin helps you feel better in general and get better when you are sick. It can be assumed that any person with a weakened immunity will benefit from plenty of vitamin D. The best way to achieve this is by getting your skin exposed to the sun for a safe period of time between the hours of 10am and 2pm, the time when UVB waves from the sun are at their highest. Obviously, you must avoid burning your skin in any instance but for a light skinned person, around 10 to 20 minutes of mid-day sunlight will be enough, longer for a darker skinned person. It may be helpful, or necessary, to get a vitamin D blood test, more specifically something called 25(OH)D, or 25-hydroxyvitamin D, to know exactly where things are at. A person with a low immune system should aim to get their levels up to at least 60 ng/ml, even higher into the 70s or 80s could be ideal. 100 ng/ml is seen as the upper limit to be safe but you really have to be getting above 200 ng/ml to be running any real danger of toxicity and it is extremely rare to get even close to those kinds of levels. 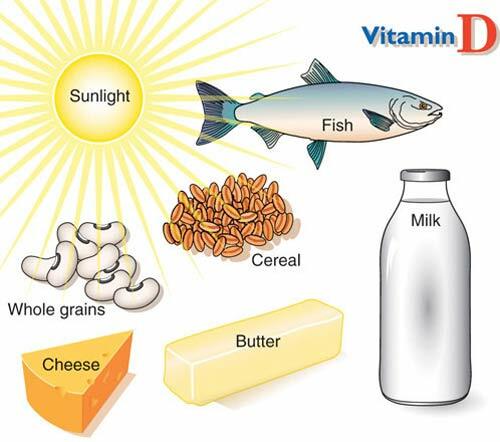 If you cannot get good sun exposure because of where you live or because of the time of year or because your levels are just too heinously low to begin with then you should eat plenty of vit D rich foods (pictured below) and/or get a vitamin D3 supplement and use enough of a dose of it to get the result you need. 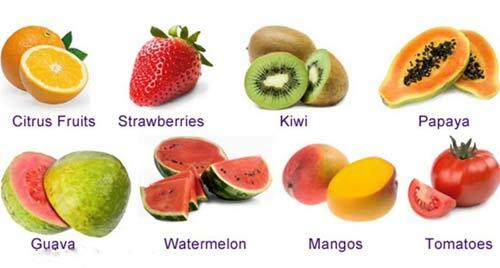 Ideally, eat a lot of rich food sources of C, such as those shown below, or use a supplement that gives at least one gram of Vitamin C daily. Minerals are equally as important to the well-functioning of the body as are vitamins though one key difference is that you can get away with not ingesting them quite so often as they are generally better able to be stored up, conversely, we can get a lot lower in minerals that we can in vitamins and still not know about it. in this area, it can be can of value to simply study the nails of the hand. The nails (and hair) are good barometers of mineral health so, unless there is a physical reason such as excess immersion in water or chemicals, if they are weak, broken, brittle, spotty etc. there may be good reason to explore ways to improve mineral health in general and key immune nutrients such as zinc and selenium in particular. Supplements do have a place, especially over the short term to correct a deficiency and, if in doubt, it may be wise to simply take a good multi to be sure you are not lacking something essential right now. Further to that, if you have poor nail health that cannot be explained by your work or environment, or if in any case if you would score yourself below 7 out of 10 for how healthy is your diet, then it may be helpful to read an article on nutrition found here. 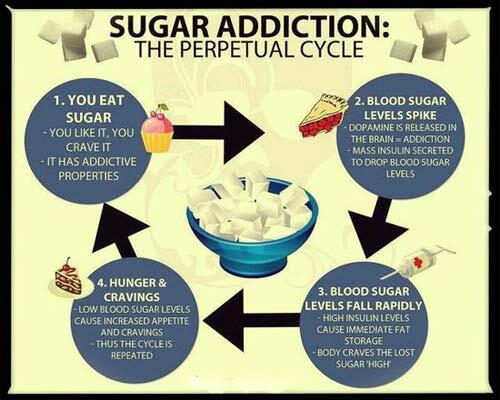 The one 'nutrient' that clearly damages the immune system, especially when it is already under stress, is sugar. In fact, one of the most compelling arguments for the marked increase in immune related illness in our society is the huge amount of sugar we eat in modern life. When looking at immune-related health problems, e.g. asthma, eczema, allergies, auto-immune conditions and cancer, many researchers are compelled to conclude that environmental factors may be a key factor behind some statistics that are clearly worsening. We are all breathing, drinking and eating from the same world into which we are pouring mega-tons of new, weird, and in many cases toxic chemicals, year after year. People sometimes instinctively know that toxicity is a key part of what's wrong, it is not just immunity that can suffer from an excessive toxic load, the bowel, the liver, the kidneys, and the skin are all vital channels of elimination that may show symptoms when the level of waste products needed to be removed are greater than what the system can readily manage. Food allergy or intolerance are obviously, major causes of immune imbalance. It has repeatedly been seen by this practitioner, and many others, that temporarily or permanently removing allergenic foods has been a pivotal turning point to their health. Food allergy or intolerances are real and entirely treatable but again, this subject is rife with myths and misconceptions. If needed, read more here. Stress, anxiety and depression are all, of course, also huge subjects in themselves and it must be very clearly understood that everyone who gets a depressed immune system over any length of time will eventually feel at least somewhat tense, tired or blue. You must be open to the possibility that, if you have become stressed, anxious, or depressed since becoming unwell, then a great deal of your emotional state may be entirely due to the state of your immune system. That said, there are also undoubtedly cases in which a deeply disturbed wellbeing has been the core underlying cause for an immune system that has become unable to protect and heal the body as it once did. The relatively new field of medicine called psychoneuroimmunology has established a fascinating and increasingly detailed body or research showing how the mind and immune system are inextricably linked and if this is the area that you need to focus your attention then read more in the following links. If you know in yourself that you are much too tense and anxious and believe that this may be impacting negatively on your immune system then study this important subject here. If you think that you may be depressed and that this is not merely a result of a low immunity but that your mood was significantly low before you became sick then give your attention here. Anyone who has ever been sick knows how the turning point in getting better often simply comes from a good night's sleep. This is because it is when we sleep that our immune systems can use the maximum amount of metabolic energy and do most of their work. Incidentally, the main reason we get so tired when we have an infection is not because of side-effects from the micro-organism but because our immune system realises that it must take over a much greater portion of the available metabolic energy and so releases potent chemicals that make us want to stop expending energy and start resting. It is our own immune systems making us feel so tired! Good sleep is, therefore, unquestionably one of the most vital ingredients to healthy immunity, and if this is where the main attention needs to go, start here. Parenting is full of ups and downs but there is surely nothing worse than seeing your child get sick, All the steps discussed above apply as much to children as they do to adults but there is more specific information on common children's conditions and immune health problems here. 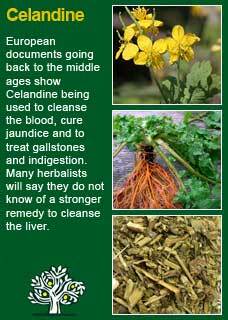 You might benefit from learning about your constitution to know what kind of foods, herbs, exercises etc. 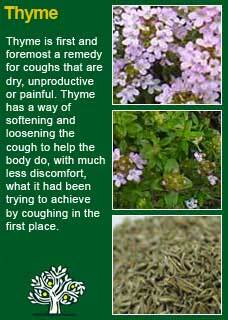 will work especially well for your health in general as well as that of your immune system. Constitutional health is an old and fascinating way of understanding our differences. To demonstrate how it works in this area, if you are a hotter & dryer constitution (an Eagle) then allergies and the post-viral syndrome are the problems that will come up the most for you and you will be especially responsive to Reishi mushroom & St John's wort. 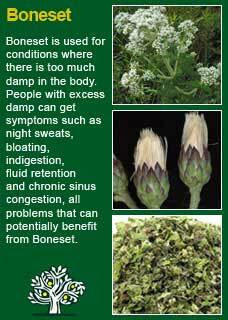 If you are a cooler & dryer constitution (an Elephant/Butterfly) then vitamin & mineral deficiencies are a common problem for you plus you have to be very careful with your nervous system health but you do particularly well on Garlic, Withania & Ginseng. If you are a hotter & damper constitution (a Tiger) then excess toxins, sugars and/or gut infections are things that frequently affect you and treatments such as the sweating therapy and an intense burst of immune tonics can rapidly turn things around. 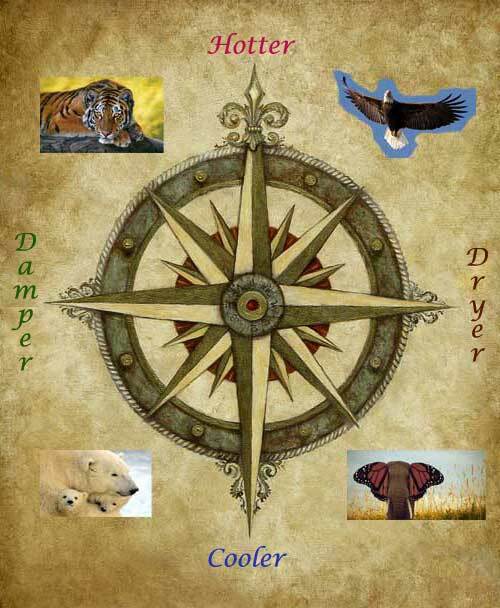 Or if you are a cooler & damper constitution (a Bear) then you are especially prone to troubles with a low immunity and need to carefully rule out things like allergies, toxicity, stress etc. 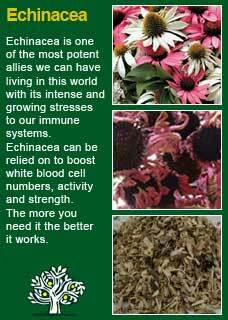 but it is notable how much better you can do on immune tonics such as Echinacea & Astragalus and how exceptionally well you can respond to sweating therapy when needed! There is a brief introduction to the subject here and a more detailed section on working out which constitution you are here.